*This part replaces obsolete part #: and M950248-0020A. Diameter of inside that connects to shaft is 1/2"
Genuine American Standard handle for bath shower in Chrome color. This item is sold individually. Please note, attaching screw is sold separately. 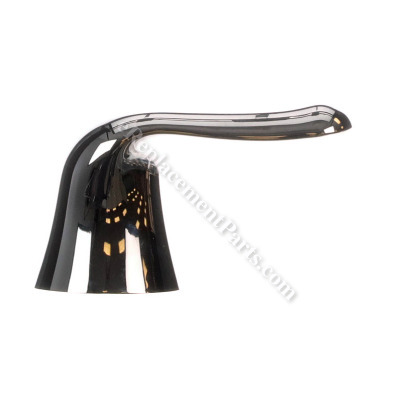 The humid climate inside a bathtub enclosure or shower stall isn't good for the faucet handles. If you have hard water, mineral deposits can turn them white, and water from a dripping shower head can discolor them. Moreover, corrosion can damage the threads on the valve stems and loosen the handles. Hello Dennis, Thank you for contacting us. I have researched the model you have provided and have found the part you?re looking for is Part Number: AM9180210070A. Thank you for your inquiry, good luck with this repair! Removed the set screw from the old broken handle and removed the handle. Placed the new handle on the mount and tightened the set screw. Took the old broken faucets off then fitted the handle and inserted the little screw to the faucet. Less than a minute to fix, very easy no special instructions needed. Fast and reliable delivery.